Photo © 2015 Elaine L. Mills, Bon Air Park. Despite its visual appeal, this groundcover is highly invasive. An invasive species has been defined by presidential Executive Order 13112 as “non-native to the ecosystem under consideration and whose introduction causes or is likely to cause economic or environmental harm or harm to human health.” Home gardeners should learn to identify and remove it from their gardens, lawns, or other neighborhood spaces they may help to maintain, such as traffic circles. From a distance, one could easily mistake the flower for a dandelion as its yellow flower is very similar in shade to that of the dandelion and both plants make their first appearance around the same time. However, upon closer inspection, both the flower and the leaves are quite different. The flower has glossy petals with a distinct center , while the leaves are heart-shaped, similar to the wild violets that are also seen throughout our area at this time, as seen in the images below. It is believed that lesser celandine came to this country in the early 1970s as an ornamental plant. It is native to Europe, northern Africa, western Asia, and Siberia. As with most non-native plants, it is able to thrive here because it’s not susceptible to predators or diseases and it adapted easily to the soil and climate. It enjoys other advantages as well. As it multiplies, it creates a thick carpet leaving very little room, if any, for other plants to establish themselves. And because it is one of the first spring ephemerals to emerge, it outcompetes our native ephemerals not just for space but for nutrients as well, leaving the native spring ephemerals at a significant disadvantage. Removing lesser celandine can be difficult. 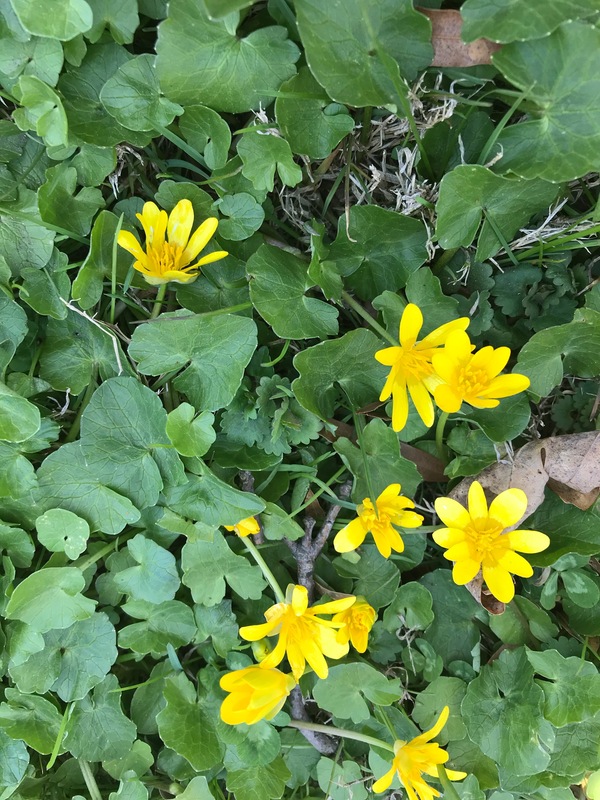 For information on how to do so, please go to Weed of the Week – Lesser Celandine from University of Maryland Extension. This invasive is plentiful along the paths leading to the Shade Garden and has been found in the Shade Garden itself. The Master Gardeners who are caretakers of the Garden are keeping a close watch to keep it in check. Check out our Problem Plant Fact Sheet on this invasive plant. 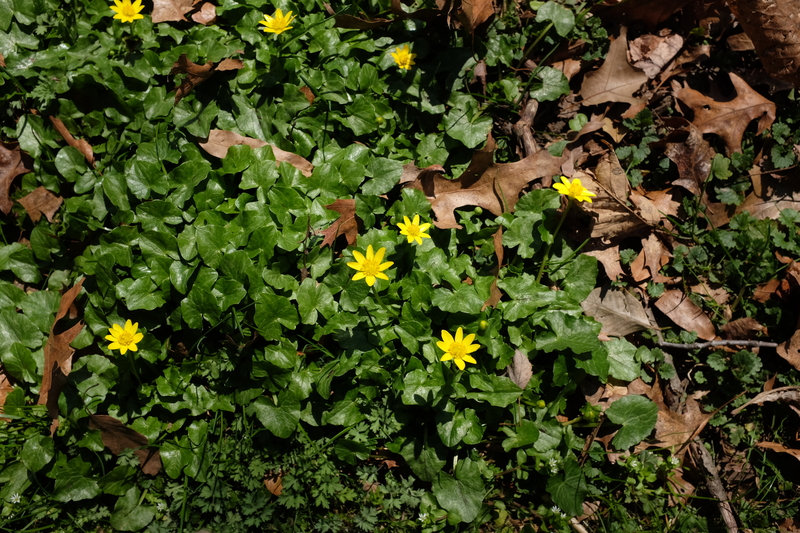 This entry was posted in MG in the Garden, Problem Plants, Shade Garden and tagged invasive, Lesser celandine, Quarry Shade Garden, Ranunculus ficaria. Bookmark the permalink.